Looking for a job in Enterprise | Coffee County Alabama? The following is a directory of Coffee County Alabama top employers with direct links to the jobs they offer. This directory includes local city job links as well as the larger job posting boards. 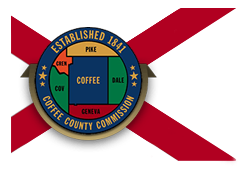 Coffee County's primary municipalities are Elba, Enterprise, Kinston, and New Brockton. Coffee County periodically hires. Check their site frequently for updates. During this review there were open positions available for Revenue Clerk and Corrections Deputy. During review, the City of Elba had been hiring for the position of Full-time Police Officer. Visit their site for current listings. The City of Enterprise had job openings available. Enterprise is a good jobs resource. A survey in 2019 revealed the following opportunities: Building and Grounds Maintenance Worker, Certified Police Officer, Concessions Supervisor, Concessions Worker, Firefighter, Human Resources Assistant, Night Supervisor/Recreation Assistant, Scorekeeper Seasonal, and Wastewater Treatment Operator. Also check the Police Department and Enterprise Public Library Employment links provided below. The Enterprise Chamber of Commerce is an excellent resource to use for finding local businesses and they maintain a job board. Note: Some of the largest employers are the Enterprise City School System and Medical Center Enterprise. These employers are listed under the education and healthcare categories lower on this page. Ben E. Kieth Foods was hiring on this review date. Open positions posted were RSA Trainee - DOT, Selector, Distributions Sales Representative, Warehouse Forklift Operator, Category Manager, Sanitation Worker, and Driveer. Wayne Farms in Entrprise had listings for Live Hang Associate, Poultry Processing Line Associate, Truck Driver, Maintenance Trainee, Plant Human Resources Supervisor, Breeder Field Representative, Poultry Equipment Maintenance Supervisor, and Production Supervisor - Poultry Processing (2nd Shift). Pilgrim's Pride Enterprise was hiring for the positions of Human Resoruces Coordinator, Orientation Trainer, Hatchery Maintenance, Refrigeration Maintenance, Production Processing Jobs, and more. ALFAB Inc. can offer you challenging work, a generous compensation and benefits package, professional development and growth opportunities, and recognition and acknowledgement for your hard work. Medical Center Enterprise is a 131-bed healthcare facility offering obstetrics and gynecology, emergency medicine, cardiology, urology, family medicine, general surgery and a range of medical specialties. Medical Center Enterprise has a variety of ongoing job openings at any given time. Open positions found had included Anesthesia Tech, CT Technologist, Food Services Worker, Licensed Practical Nurse LPN, Medical Technolgist, Occupational Therapist, Patient Care Attendant, Pharmacist, Pharmacy Tech, Physical Therapy Tech, Registered Nurse RN Day Surgery, Registered Nurse Emergency Services, Registered Nurse RN ICU, Registered Nurse Labor and Delivery, Registered Nurse RN Med/Surg, Registered Nurse RN Nursery, Sleep Tech, Speech Therapist, Sterile Process Tech, and Surgical Tech. South Central Alabama Mental Health Center periodically hires for positions in Coffee County for jobs such as In-Home Child Therapist, Mental Health Tech, LPN, and Mental Health Worker. Pathway, Inc. is a Residential Treatment Center designed to provide care to children age 10-18 with emotional, psychological, and behavioral management problems. Pathway hires Therapists, Group Leaders, Nurses, and professional administrators. Kelley Place and Madison Heights are the only communities dedicated entirely to Memory Care in Coffee, Geneva, and Dale Counties. Madison Heights & Kelley Place Enterprise periodically hires support staff and other positions. Please note that the jobs listed in the teaching and support staff section represent a sampling of jobs found on a particular review date. You can visit the links provided for the most current opportunities. Enterprise City School System had employment opportunites posted on this review date. Available positions had included School Nurse, Bus Drivers, Substitute Bus Drivers, Substitute Special Needs School Bus Aide, Child Nutrition Program Worker, 8-Hr Custodian, School Custodial Jobs, Bus Aide, Special Education Behavior Aide, ESL Aide, and Bus Aide/Bus Nurse. Coffee County School System's employment postings had included School Bus Driver, EL Teacher, School Principal, Assistant Principal, School Guidance Counselor, Secondary Math Teacher, Secondary English Language Arts Teacher, Secondary General & Upper Level Science Teacher, Secondary Social Science Teacher, Elementary Teacher, Early Childhood Teacher, Elementary/Secondary Special Education Teachers, Family & Consumer Science Teacher (Potential Openings), Agriscience Teacher (Potential Opening), Business/Marketing Teacher (Potential Openings), Band Director, Gifted Teacher (Potential Openings), Physical Education Teacher, and more. Elba City Schools posts opportunities when vacancies become available. Their site provides a Substitute Teacher application link. Enterprise State Community College offers excellent academic, technical, and workforce training programs. Here you will find an array of opportunities for faculty and staff. Positions were found for Police Officer, Professional Tutors, Assistant Coach, Health/Physical Education Adjunct Instructor, Bus Driver, Courier, Adjunct Jobs, Peer Tutors, and Continuing Education Instructor. The Alabama JobLink periodically posts open positions.